July 6, 2016 | LITTLE ROCK — Fellowship-trained palliative care physician Clark L. Smith, M.D., has joined the University of Arkansas for Medical Sciences (UAMS). He sees patients at the UAMS Winthrop P. Rockefeller Cancer Institute and is an assistant professor in the UAMS College of Medicine Department of Internal Medicine. 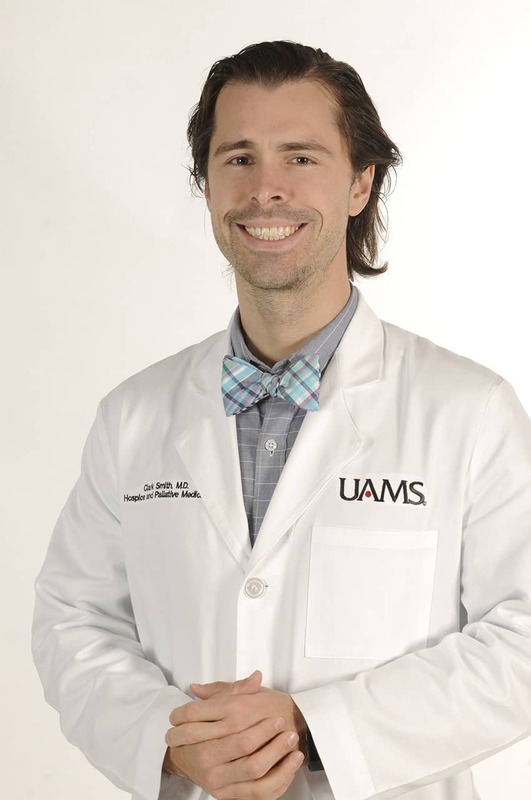 Smith earned his medical degree from the UAMS College of Medicine and completed his residency in family and preventive medicine at UAMS. He was fellowship trained in the UAMS Fellowship in Hospice and Palliative Care. Smith previously served as medical director at Arkansas Hospice. Palliative medicine focuses on improving quality of life and relieving pain and other symptoms in seriously ill patients. It can be provided to patients who continue to receive treatments to cure or control their disease, regardless of the stage of their illness.